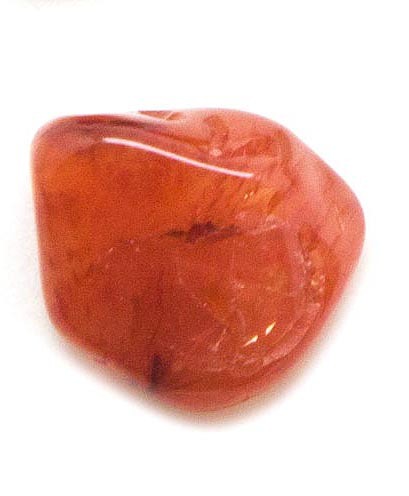 "Carnelian is an agate class of chalcedony that is a stone of creativity, individuality and courage. Like all agates, it has protection energies, and in addition to the properties of agate, it further assists in providing awareness of the association between the emotional state and the inner condition of the self. It protects against envy, fear, and anger, and helps to banish sorrow from the emotional structure.” Melody, Love is in the Earth.